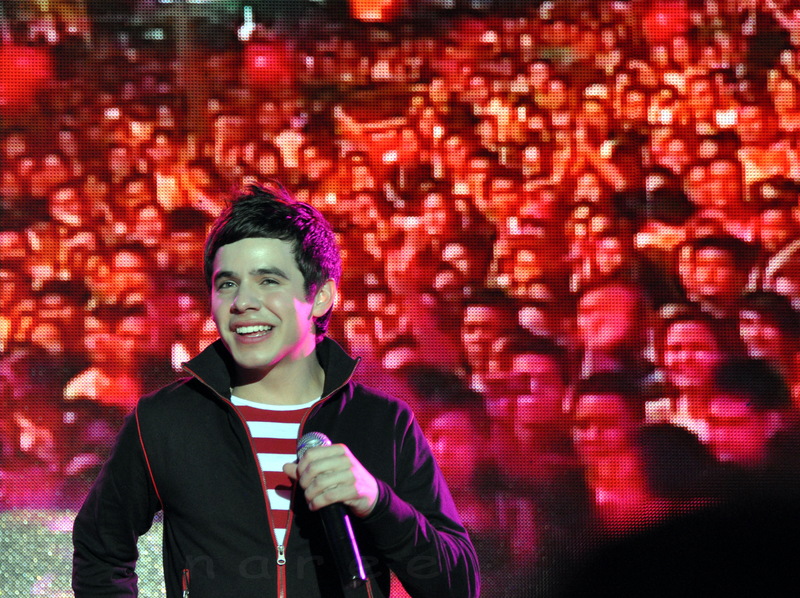 ← David Archuleta’s upcoming OPM CD: Will you buy it? @DavidArchie puts the PYRO in Pyropalooza! He’s on FIYAHHHH!!!!! Twitpic: the lovely @nareejo: "In a sea of peoplllllllle"
I can’t get enough of “Wherever You Are”…. David Archuleta’s version needs to be on the radioooo!!!!! It shows off every ounce of his soulful goodness and lets him run and play and frolic through those notes like a kid at a water park. And Jay Durias???? Awesome!!! up-close WYA from JR4DA … wowza!!! Wherever You Are is one of the songs they say is included in David’s OPM album (rumored album title is “Feels Like Home” ) Composer of the song is a Filipino boy band called Southborder of which Jay Durias (David’s keyboardist in this video) is a member. This entry was posted in Fan experience and tagged David Archuleta ignites PyroPalooza. Bookmark the permalink. 8 Responses to @DavidArchie puts the PYRO in Pyropalooza! He’s on FIYAHHHH!!!!! The ending to Something About Love was something else. Loving Wherever You Are <333 Like so much! Hoping it was recorded!!! Also LOVE that top photo! 3:25-3:42 of that SBL….woooh is right baby! LoVe iT! More, more, more of that! don’t think I will ever get over his genius in his ability to change things up. Love Wherever You Are too. Hope the recorded version has all the goodies! Jay Durias, wow incredibly talented. Go figure, it’s a foreign musician that comes up with these amazing tailor made arrangements that fit David like a glove. re SBL……seriously, who is this guy and where did he come from? The stage presence……..gah!!!!!!!!! !